The Times of London recently informed us that "the number of hate offences recorded by police jumped after the terror attack by Khalid Masood at Westminster in March last year." The paper continued by noting that "incidents of hate crime went on rising in May and June after terrorists attacked the Manchester Arena and London Bridge." One shudders to think about how many hate offenses would follow a really enormous terror attack. What is a hate crime? The Times explains, "hate crime is defined as any criminal offence which is perceived by the victim or any other person to be motivated by hostility or prejudice towards someone based on a personal characteristic. In fact, the expression of hatred — or perceived as such — now is itself a crime." As law, this is perfectly Kafkaesque, in that rumor and suspicion are granted the weight of truth. There is apparently no need for an objective correlative of a person's perception. According to the Metropolitan Police, "evidence of the hate element is not a requirement. You do not need to personally perceive the incident to be hate related. It would be enough if another person, a witness or even a police officer thought that the incident was hate related." We have regressed to the days before Elizabeth I's famous declaration more than four centuries ago that she had no desire to make windows into men's souls. Now everyone can do so, and his attempts, however inaccurate, fantastic, or self-interested, have legal force. Needless to say, the personal characteristics that are specially protected are what one might call the usual suspects: race, religion, nationality, or sexual proclivity. However, according to the Times, the government has asked the Law Commission "to investigate whether crimes driven by hostility to men [as against women] and the elderly" should be considered "hate crime." Hating the elderly is so much worse than merely preying on them, beating them, or stealing their belongings. Expressions of hatred now being a crime in themselves, it cannot be long before differential liking for groups of people will be a crime, inasmuch as this would imply at least a potential for dislike of others. The good citizen must therefore refrain from expressing such preferences. He must be as bland as overboiled potatoes. Curiously, liberals who have long denied that punishment deters crime — or indeed serves any purpose, except to take vengeance on the weak and vulnerable, driven to crime by their wretched circumstances — are generally avid for strong penalties for hate crime. The way to make people like one another is to punish them into amiability. Meanwhile, as British police busy themselves with the hurt feelings of some of citizens, the town in which I live, with about 12,000 inhabitants, has no policeman. It has, however, many CCTV cameras and a control room in which a controller watches crimes being committed. The other day, she witnessed two young men haul a large quantity of meat from a store. She had perfect photos of them, and a perfect film of them getting into their getaway car, complete with license plates. The only problem: when she called the police, she couldn't get through. There were no police within ten miles. Probably the nearest police were busy with victim-support. The wonder is, then, not that we have crime in our town, but that we have so little of it. What is the explanation — that man is born good? Or that many of those who would otherwise be inclined to commit it are too indolent to do so? The incompetent Theresa May, incidentally, when she was the minister in charge of the police, cut their numbers by 20,000. 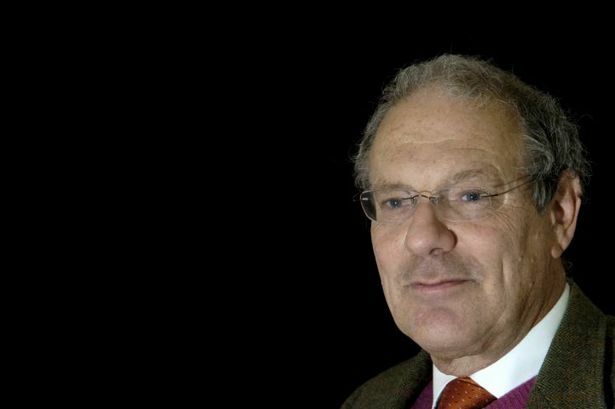 Theodore Dalrymple is a contributing editor of City Journal, where this first appeared, is the Dietrich Weismann Fellow at the Manhattan Institute, and the author of many books, including Not with a Bang but a Whimper: The Politics and Culture of Decline. • 02/26/18:	'Steal what you like, but do not flaunt it'? • 12/21/17:	O, Brave Old World! • 07/05/17: Rights: Health even for the dying? Or immortality, perhaps?